Hi I want a professional English content writer. Job is simple but long time project. Once complete a project then job shift to other project. I have a new website complete related with SEO tools. I need a content for each tools minimum 100 word to unlimited words basis on subject. and explain how does it work? To know about how does tools work? Firstly you need to use them before writing. Do not copy or paste how does it work instruction. Just write your own. Over 51 tools at this moment available and more other tools coming soon. So, I will hire for all 51+ tolls and each content for 1 tolls for $1. One content means $1x51 tools = $51 project. 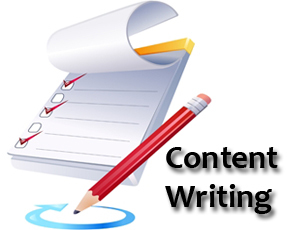 I will hire daily basis and you will get 2 days time to write one content. Once complete a content then I will hire for another content basis on tools. So, project for long time. Only real and professional and unique content writer bid here and I will hire you soon. If your intention to wire spun or rewrite content, please leave/scram now from this job. If you have any confusion about job description just ask me in comments area. I will explain more. >> Do not bid for over $1. If you bid over than automatically disqualify for hiring job. i can do the job! hi i will do the job for you . i am a native english speaker and writer and i have 10+ years experience in an administrative environment. i am extremely proficient and will get your task completed quickly. i have looked over the website provided and i am 100% capable. hope to hear from you soon so we can begin.